I won't bore you ALL with the details of what I made for Cat's santa sack (you've seen some of them already- hee hee! ), but I thought I'd share a couple of the things that I am most proud of. Firstly, there is the sack itself. Cat loves pink and apple green and red. She loves shabby chic floral fabric and I checked, she loves these thing at Christmas time too! Now traditionally I am not a particularly pink and girly kind of a gal (I lived in purple combat trousers and DM boots for most of my twenties), so initially I was a bit stumped as to what to make for Cat, but after buying a set of Tanya Whelan fabrics and embracing my inner girlie, the inspiration began to flow. this free pattern.- I love how they turned out! I sent her a few of the embroidered napkins that I blogged about a wee while ago, and made a table runner to match. Again, I used an embroidery pattern from this flickr group. 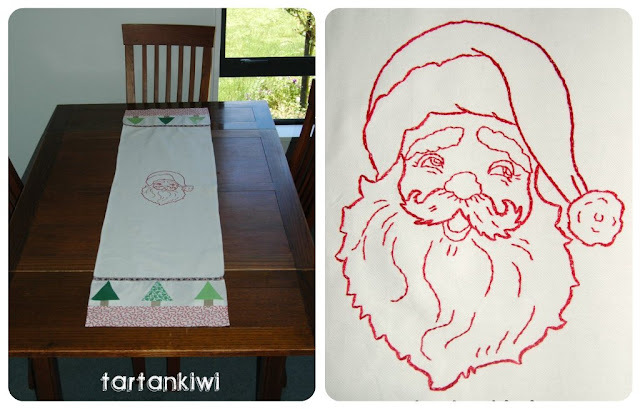 Although I loved the embroidery, I had the feeling that something was missing, so when I saw this table runner and tutorial, I knew that a few Christmas trees as a border were called for. If you're curious about the other things in the sack, pop over to Catalina's Cottage and have a look for yourself! Just quietly, the whole pink, flowery, shabby chic thing is beginning to grow on me, but if you say that out loud I'll deny it, okay!? I'm joining in Creative Friday today. Hi! 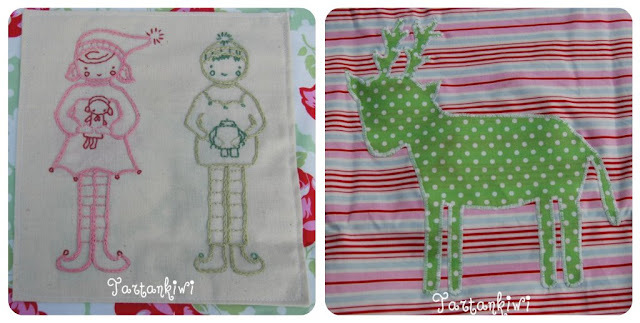 I love your table runner with trees and the applique reindeer is so cute! 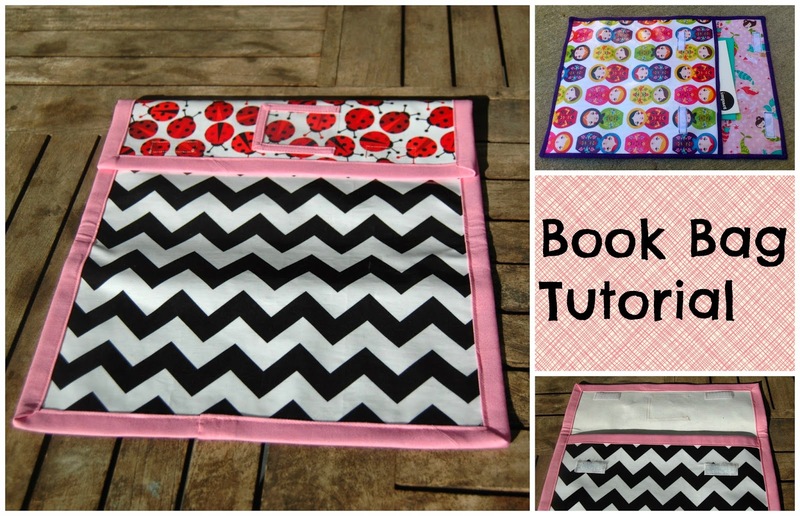 Love the table runner, and I think it is perfect as it is! What an amazing swap!! I can see the love and care that you took with each gift, and I know that the recipient will use each one with delight and joy!! 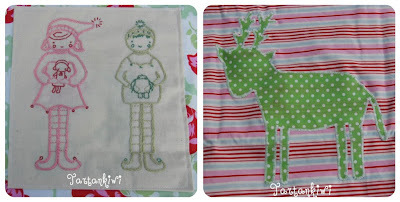 the little elf embroideries are so sweet! you're such a clever lass! I may have to grab a bunch of that fabric.... its gorgeous! Seriously you are one clever mama! 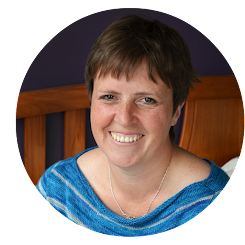 Love your craftiness!